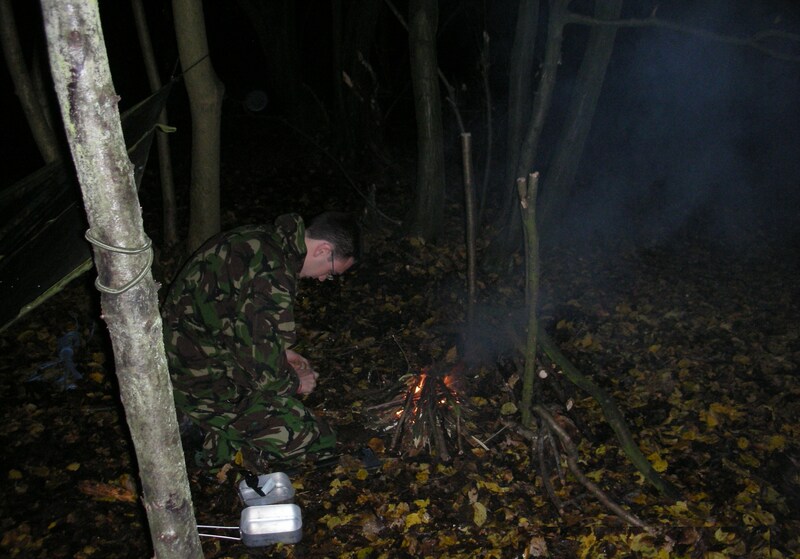 Fieldcraft is not 'rambo' life in the woods trying to kill a deer, or scare the locals. We leave that to other uniformed organisations. It is the art and practised skill of living, moving - maybe stealthily, and potentially fighting a battle 'in the field' and 'winning through' to be able to do the same, day after day. This is not easy, and takes time to learn. It also takes patience, humility, and a learning spirit. Are you content and 'happy' to be out and carrying everything you need on your back and in your pockets? What knowledge have you got? Are you a problem solver? 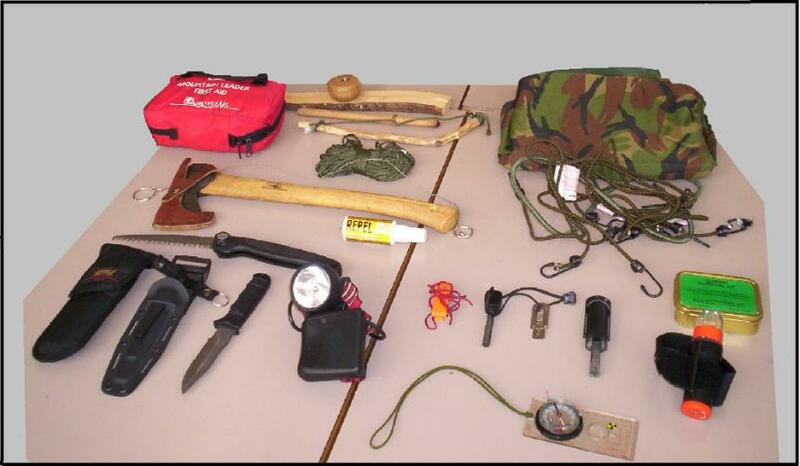 What are the essentials of fieldcraft? 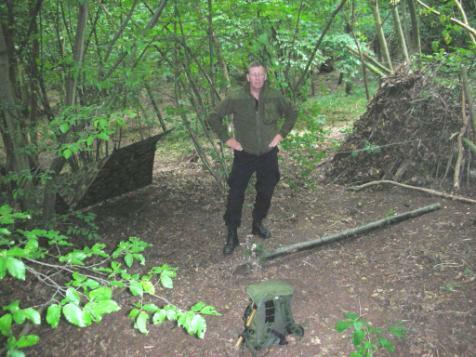 Some would have it that Escape and Evasion is the be-all and end-all of Fieldcraft. Not so. But you may have to use all of your Fieldcraft skills to escape and evade one day. 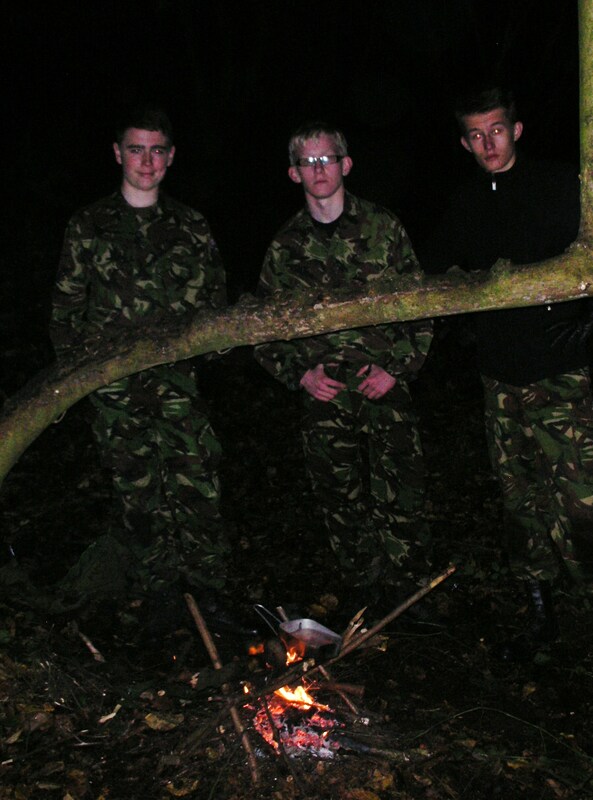 For us the Fieldcraft involves the ability to find your way (NAVIGATION) day or night across a variety of terrain using map and compass, have the knowledge of what to carry and what not to carry (EQUIPMENT), eat (COOKING) possibly tactically, live (CAMPCRAFT), and move as a Squadron or Flight (PATROL). Other attendant skills include diet and nutrition, camouflage and concealment, radio procedure, surveillance and counter-surveillance, and reconnaisance. So..... can you move, live, fight, evade, in, to start with, your local natural environment: deciduous/broadleaved woodland? Most think they can; most can't. You need to practice, practice, practice; challenge yourself, and even for a couple of days/nights it'll sort you out - but the training is good for you, and maybe, just maybe when you are in an operational / tactical situation in the future those hours and hours of practice will see you through what might be hard times - but not as hard as if you hadn't trained! Above C.I Howard at a military training area near Bodmin Moor instructing combat survival to fast jet pilots from RAF St. Mawgan. How's your navigation? How many times have you heard someone say "....yep, I can use a compass" Only to find that when everything goes nasty, he's totally void of any knowledge, experience, practice....and honesty. It's a dangerous person who says he can use a compass when he can't. 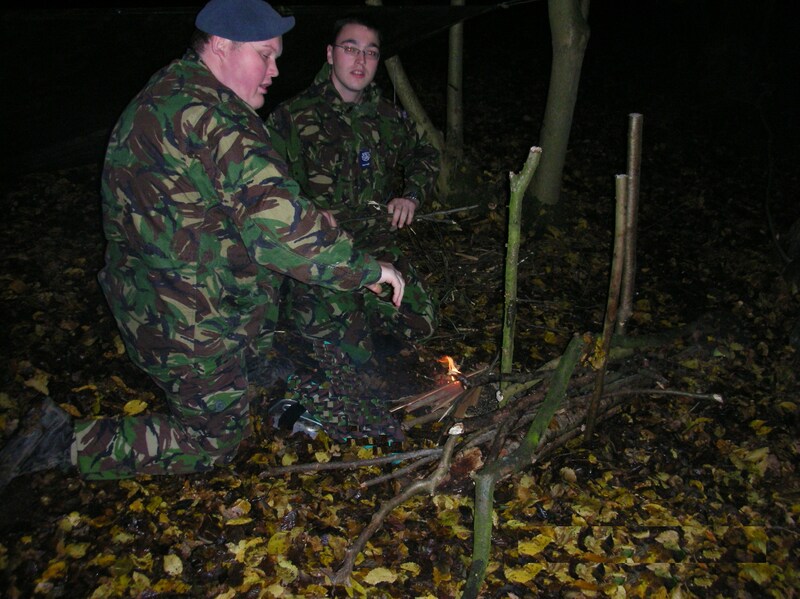 Once learnt though, never forgotten, and also once learnt, the skill of compasswork will get you anywhere (even in urban areas) and give you confidence to tackle more remote areas - or get yourself out of difficult situations. Having said that I've only ever used a compass three times in emergency situations - and that's over 41 years of 'being out'. Quite simply its a great skill to have and can be enhanced with environmental / natural navigation skills. 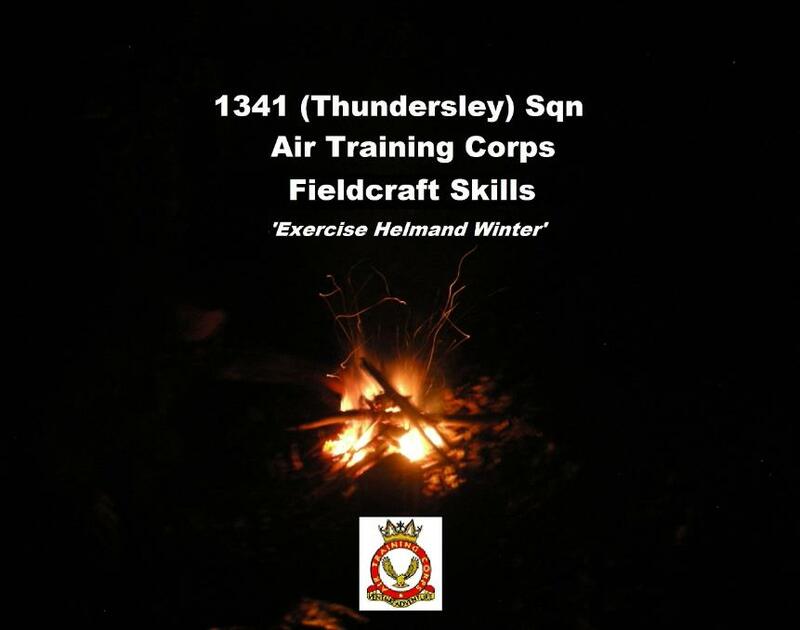 Exercise Helmand Winter was held in woodland some 3kms from the Squadron HQ and involved as part of a standard Squadron evening, introductory fieldcraft skills: camouflaged bashas, low-key (as near smokeless as possible) fires, leading to low-flames fires, cooking, food/rations, water collection - all set in a tactical environment - at night - at the beginning of winter. The photographs are designed to present the flavour of the evenings. Equipment 1: From top left clockwise: Leaders First Aid kit (enhanced), bow-drill fire lighting kit, paracord 15m., camo basha with bungees (and if you're really switched-on a couple of tent pegs), combat survival kit (enhanced), strobe marker for in-bound rotary-wing heli casevac marking at night, assorted flint and steel fire lighters, tritium-lit 360/mils compass, whistle, head-torch (with assorted red lenses), 'Sog' Seal Pup Elite knife, 'Gerber' saw (with spare blades), 'Repel 100' mozzy repellant, 'Grunsfors' Forest Axe. 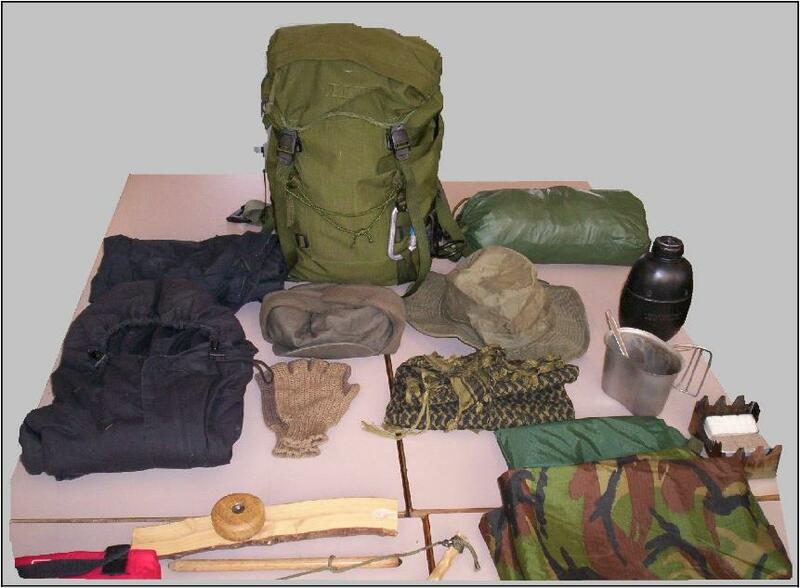 Equipment 2: Top: Berghaus Munro 35 litre patrol sac, (clockwise to...) Gore tex bivvi bag, bush hat, water canteen, metal mug and spoon, hexistove, camo basha, bow drill, shemagh, winter thermal hat, fingerless gloves, and finally (far left) proofed combat smock black rustle-free polycotton.